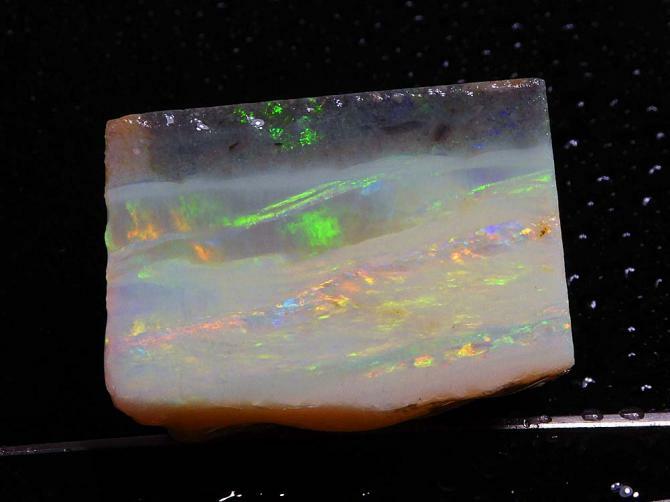 This original rough opal started as a huge 18 ounce chunk from Hans Peak opalfield, which was really too big to sell whole. So I decided to recoup my investment by cutting this palm sized rough opal into affordable cubes or rectangles. 26.5 grams or .85 ounces. Scale=20mm. Dimensions: 28mm x 24mm x 21mm thick.